With the urban hubbub of Naples only a short distance away and the dominant presence of Mount Vesuvius looming over, many would be forgiven for overlooking the historic village of Brusciano. Lying on the lower slopes of the volcano, this rural idyll has been firmly put on the map by the presence of the two Michelin-starred restaurant of chef Francesco Sposito, Taverna Estia. Run with his younger brother Mario, the pair took over the tavern from their father in 2006, and astonishingly won their first Michelin star that same year. The aim and focus of the two brothers was clear from the outset: to offer both locals and tourists alike something new – something different from the standard pizzerias and cafés that currently served the Napoli clientele. Having travelled and worked as a chef throughout Italy, France and as far afield as Japan, Francesco brought a wealth of international influence and inspiration to the tavern, despite still only being in his mid-twenties. A push for innovation saw widespread acclaim in the early days, but the tavern remained true to its traditional essence. A rustic and welcoming venue at its heart, this careful balance was rewarded with its second star in 2014. 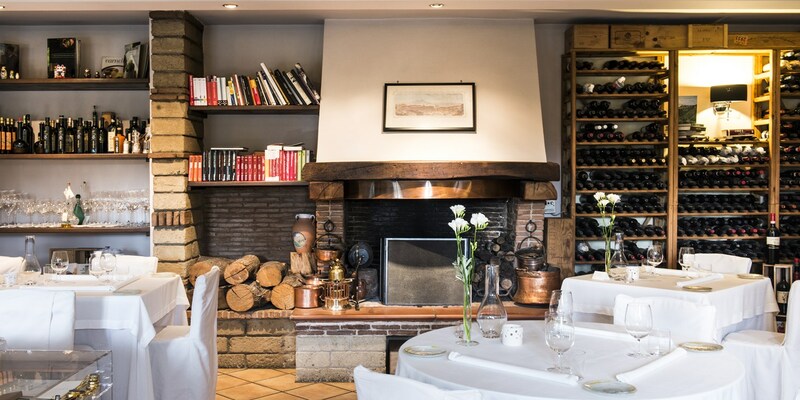 With exposed wooden beams and brickwork, flagstone floors, arched windows and an open fireplace, it would be easy for diners to forget they were dining in such a high profile establishment. However, Francesco has kept things cutting edge with a modern glass window looking directly into the kitchen, allowing diners a view into the chef’s workplace, or as he calls it, his ‘laboratory’. In running the restaurant, the brothers have their clear domains. Chef Francesco is in charge of the kitchen, and has developed menus and dishes which exemplify his love of the traditional cuisine of Campania, his close relations with local suppliers and producers and his international training. The menus name and thank local farmers, butchers and fishmongers who supplied the ingredients, and may include classic dishes such as the rum baba dessert, which is associated with Naples, but often with a unique twist. Mario’s role encompasses sommelier, front of house and hospitality, ensuring these vital factors of the dining experience complement and enhance Francesco’s food. The carefully curated wine list covers a wide range of vintages from France and Italy, with a small range of exclusive local wines produced from vineyards based on the volcanic soil of the area. Situated right in the heart of the countryside, Francesco has built strong relationships with the local farmers over the years, to the point that many now grow specific vegetables just for him. The restaurant itself is also incredibly resourceful, growing 30% of their own produce in the family manor. The unique wines grown on vines nourished by the volcanic soil are best enjoyed in the vicinity of which they were produced, as the delicate flavours and nuances of the wines tend to alter with travel. 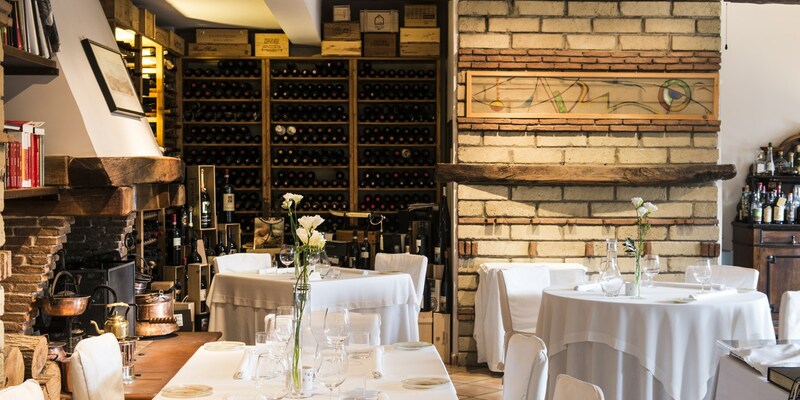 Visiting Taverna Estia is easy to slot in to a trip to Naples, as Brusciano is less than half an hour away from the city centre by train or car – perfect for nipping away for lunch or dinner. He studied classics, but after completing his studies turned his attention fully to cooking. His desire to grow as a chef, to keep learning, took him abroad. First came Paris, at Arpège with Alain Passard, which held three Michelin stars. Here he was schooled in modernist cooking technique and like Passard, developed an appreciation for the enormous variety of spices and seasonings the world has to offer. 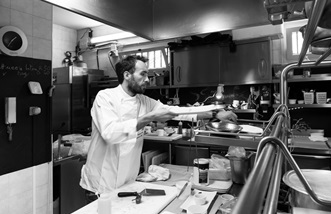 In 2002 he moved on to work with Igles Corelli, long-time head chef of the legendary two-star Trigabolo restaurant. Working together on Corelli’s new venture, Locanda della Tamerice, in the wetland nature reserve of Ostellato in northeast Italy, in this great chef he found a second father, crediting him with unlocking his talent and passion for cookery.